In her 29 years, Alice Anderson was many things: mechanic, inventor, owner of Australia’s first all-women garage, chauffeur to the stars and a celebrity of Melbourne’s Roaring Twenties. 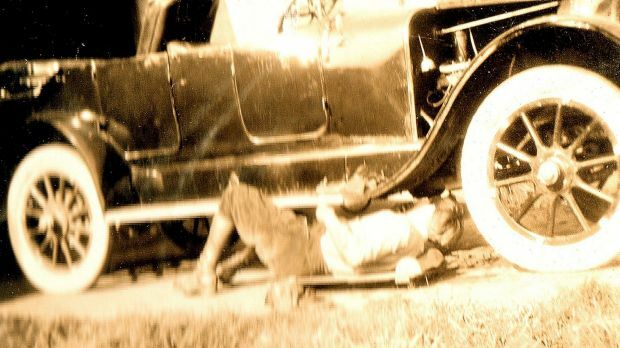 She invented a trolley to roll under cars, similar to the one that is now standard in garages around the world, and once drove her “Baby” Austin 7 car to Alice Springs. Historian Loretta Smith first came across Anderson in a biography of early 1900s garden designer Edna Walling, which described Anderson arriving at a party in 1919 driving a large touring car and wearing a man’s coat, tweed cap and goggles. She has started a Facebook page, Alice Anderson Garage Girl, to highlight the story of the sassy, exuberant Anderson. And in an as-yet-unpublished book, she challenges the finding that Anderson’s death in 1926 was an accident. In 1919, aged just 22, Alice Anderson opened the Kew Garage, which sold petrol, repaired cars, was a driving school and 24-hour chauffeur service.